The Animated Star Rating has now been added as a plugin! Two themes to choose from or make your own! Some options include, select number of stars you want, allow half ratings or not, and add a callback function to send your rating somewhere! JQuery parent() vs. parents() Which is faster? I have been wondering which method of traversing up the DOM is faster using the jQuery library’s options, parent() and parents(). Well I’ll show you my findings. JQuery bind and clone, what’s the deal? jQuery cloning dropping the bind methods. Fix. 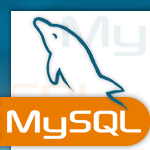 Error message “#2006 MySQL server has gone away” coming from PHPMYADMIN. Setting the FORM ACTION attribute with JQuery is not working! Well that is just a shame! No worries though, because here is the work around for that.